My first semester of senior year of college, I walked into my yoga class expecting it to be a total throwaway. And it was, on the days when, during my savasana, all I could think about was the to-do list I could have been tackling instead of trying not to fall asleep on the floor. But on the days I didn’t have a growing to-do list, it was peaceful and a great way to avoid killing myself at the gym six days a week. I felt balanced, longer and more flexible. My body went so far as to start craving certain moves about halfway through the five month period. Then I graduated, came home and began looking into studios only to quickly change my mind when I blanched at the prices. I’d stick to ClassPass, thanks. But when ClassPass upped their prices, I started relying on my apartment gym which is bare-bones at best. It kept me physically fit, but didn’t do that much for my mental wellbeing. So, going on the suggestion of a person I wholeheartedly believe to be smarter and better at being in touch with herself mentally and spiritually, I decided to try my hand at yoga again to help better manage my anxiety and stress, regardless of the price. As it turns out, I didn’t have to worry as much as I thought I would about the price – eighteen studios across the city have new student specials that make the practice affordable. I’m about halfway through Charlotte Yoga’s special and I’m already dreading the end of it. So, if you’ve been toying with the idea of om-ing your way through the week, here are your go-to’s. AIR Aerial Fitness – 1043 Providence Road – These slow-paced classes use the aerial hammocks to help deepen each pose. New students get their first Aerial Yoga class for $1. Arrichion – 125 Winona Street – Arrichion’s yoga classes are taught in a room that’s heated to anywhere from 97 to 102 degrees, and their Tiger’s Eye Class, a half-yoga, half-circuit class, is the only kind of its type in the world. New students can get 20 days of unlimited yoga for $20. Classes include Topaz (for beginners), Black Opal (Vinyasa) and MMA Yoga (high-intensity yoga with added weights). 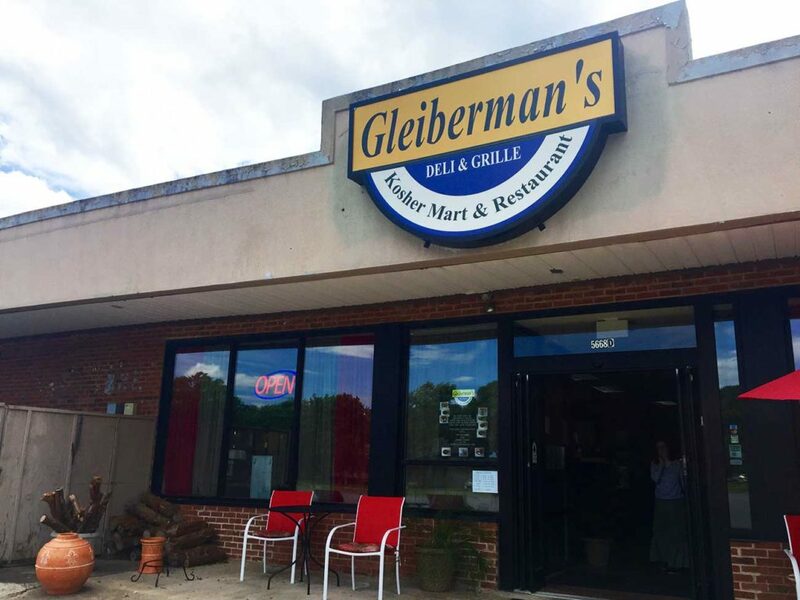 Be Yoga – 1247 East Boulevard and 7510 Pineville-Matthews Road – With other ten teachers at each location, Be Yoga has a teaching style for everyone. New students get two months of unlimited yoga for $98 or 10 classes for $59. Classes include Restorative Yin, Sunrise Flow and Therapeutic Slow Flow. Charlotte Family Yoga Center – 10215 Prosperity Park Drive – Charlotte Family Yoga offers yoga for every member of your family, even the one that isn’t born yet with Prenatal Yoga. New students get 30 days for $30. Classes include Hot Power Flow, Heated Long, Slow, Deep and Shake Your Asana. Charlotte Yoga – 1730 East Woodlawn Road and 1430 Winnifred Street – Students get cardio for the first half of each class thanks to focusing on moving with the breath. New students pay $40 for 40 days of unlimited hot yoga. Classes include Rocket Vinyasa, Hot Vinyasa and Deep Stretch. Enlighten Yoga – 9852 Rea Road – Enlighten aims to bring the student completely together in mind, body and spirit through their 65+ classes. New students get unlimited yoga for 2 weeks for $20. Classes include Hot LSD, Yoga for Athletes and Yin. Move Studio – 1111 Hawthorne Lane – Class sizes are limited, which means each student gets individual attention to the point that teachers will help create routines for certain goals, such as your wedding or physical rehabilitation. New students can participate in three group classes for $25. Yoga classes are Vinyasa Flow, Buti Yoga and Essential yoga. 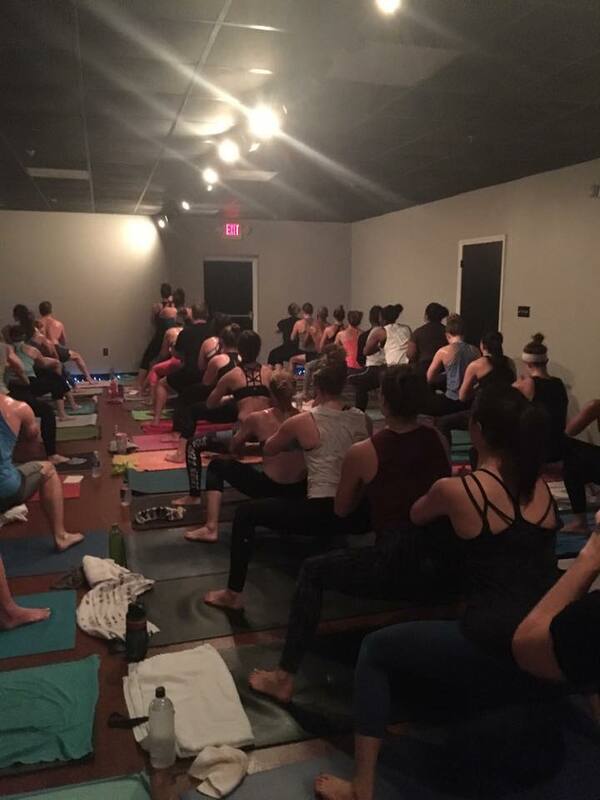 NoDa Yoga – 3201 North Davidson Street – This all-female owned studio aims to create a healthy community, both through their practice and partnerships with small businesses. New students get 30 days of unlimited yoga for $30 and veterans receive free classes thanks to donations from current students. Classes include Gentle Yoga & Gentle Vinyasa, Morning Vinyasa and Flow After Five. Okra – 1912 Commonwealth Avenue – On top of yoga, Okra also offers massage therapy and healing sessions. New students are allotted two weeks of unlimited yoga for $20. Classes include Tantra Vinyasa, Jivamkuti Yoga and Kripalu Chillax Yoga. Pure Body Studios – 2102 South Boulevard – The studio has three dedicated yoga rooms and a 1,500 square foot hot yoga sanctuary that’s heated up to 105 degrees with 40% humidity. New students can experience it for 30 days for $39. Classes include Hot 26, Vinyasa Flow and Ashtanga. PYTA Yoga – 301 East Tremont Avenue – PYTA stands for Physical Yoga Therapy Approach, and these licensed physical therapists rely on bio-mechanically sound and evidence-based yoga for their health and wellness students as well as athletes and rehabilitation students. Classes include Professional Yoga Therapy levels 1 and 2 and a foam roll workshop. New students pay $25 for a first class, and if they enjoy it, that $25 is put toward the $110 five-class pass. Synergy Yoga & Wellness – 10926 South Tryon Street – Classes take a mandala format, meaning students rotate around the mat. Try it out with five classes for $35. Classes include Mindful Hot Flow, Align & Refine and Yin Yoga and Nidra. The Yoga Institute at The Peaceful Dragon – 12610 Steele Creek Road – The classes at Peaceful Dragon not only focus on the physical, but also teach the mental and spiritual practices handed down from Indian, Tibetan and Chinese roots and philosophies. Interested students receive a free orientation, tour and class to get you familiar with the studio and figure out if it’s the right fit (this is not for the casual Yogi – no drop-ins allowed). Classes include Power Yoga, Yin Yoga and Naked Yoga. The Yoga Oasis – 2400 Park Road – The Yoga Oasis has been here since 2001 and offers classes in hot, residual heat and no heat settings. New students can take 40 days of unlimited yoga for $45 if they pay in cash and $50 if they pay with plastic. Classes include Yin/Stillness & Yang/Movement, “Earth” Sequence and Earth & Water Sequence. 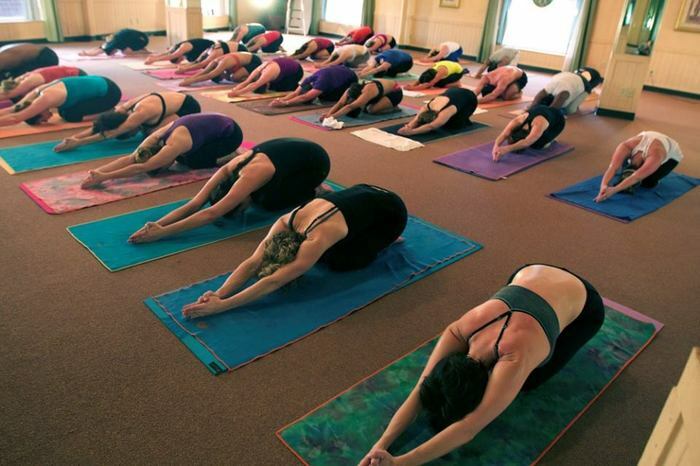 Yoga For Life – 1410 West Morehead Street – Their two rooms, with hardwood floors, won Creative Loafing’s Best Yoga Venue in 2011 and a Best of the Best award for Best Yoga for Beginners in 2014. New students get one month of unlimited yoga for $59. Classes include Curvy Yoga, Yoga for Meditators and Move, Breathe & Release. Yoga One – 1318 Central Avenue and 10039 University City Boulevard – Expect physically challenging, heated classes that focus on flexibility, balance and strength. New students pay $31 for 31 days of unlimited yoga. There are 100+ classes on each week’s schedule that range from Karma Class and Power Flow to Meditation and Prenatal Flow. Yoga Warrior Studio – 1200 East Morehead Street – This form of yoga therapy can be preventative or curative of whatever ails you. Get 5 classes for $19 or 10 for $39. Classes include Aire Yoga, Beginner’s Power Flow and Vinyasa Flow. 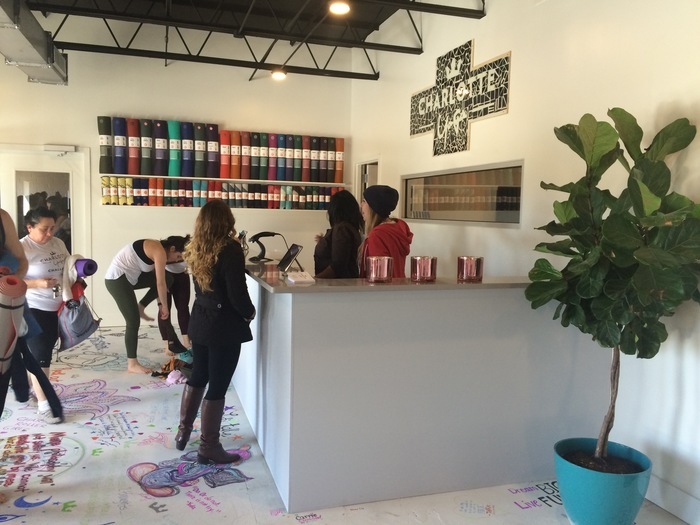 Y2 Yoga – 274 South Sharon Amity Road – The 12,000+ square foot studio also includes a spa with massage therapy, child watch and a café that serves everything from sushi to smoothies. New students get 30 days of unlimited yoga for $39. Classes include DoubleShot (fast-paced flow), Superflow (intermediate Vinyasa) and Long, Slow, Deep.